I wanted to share my mani with people who might appreciate it. Who else loves the OTWL floral/waves album art? 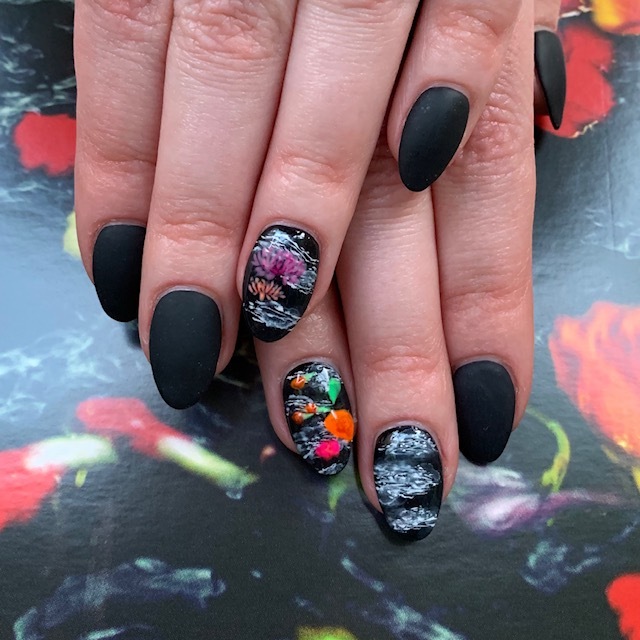 I brought a picture of it to my nail salon, and the tech did an amazing job of painting it. It’s so tiny! Credit goes to Snow at Flexi Nail Spa in Orlando, FL. If anyone has any BA-inspired art they’d like to share (drawings, paintings, songs, poems, anything!) I’d love to see it! Those are gorgeous! Are the rest of your nails matte black? OMG I was going to do this! They look fab!